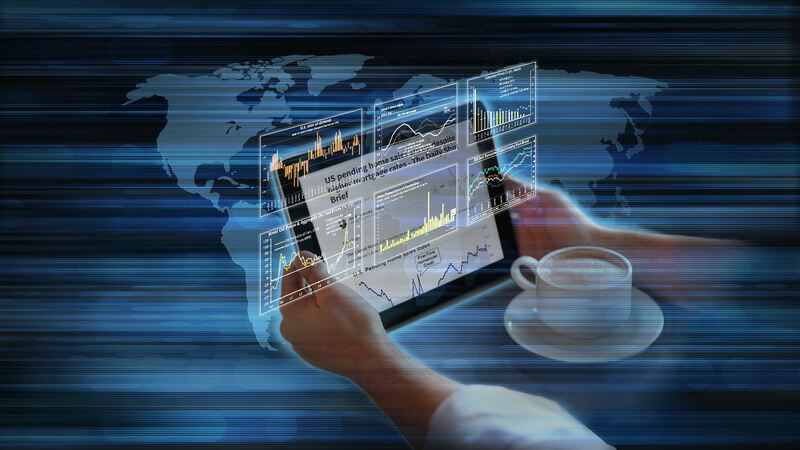 The United States: As expected, the Federal Reserve will begin the long-awaited balance sheet unwind next month. But to the surprise of some economists, the central bank also appears to be on target to raise rates in December. 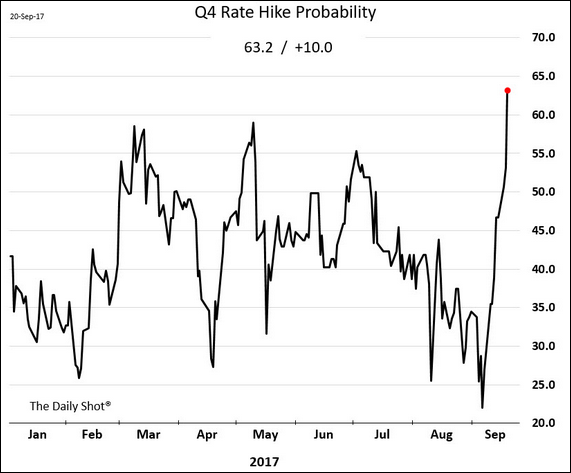 The futures-based probability of a December rate hike jumped in response to the FOMC announcement. Existing home sales dipped again, missing economists’ forecasts. 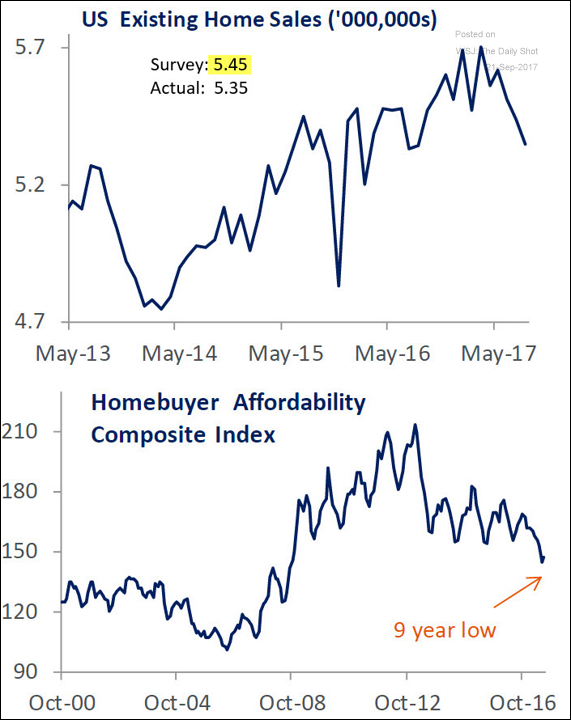 Affordability is becoming more of an issue. 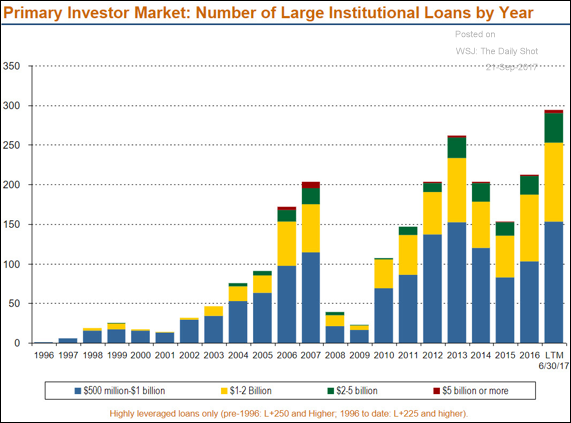 Credit: This year we had quite a few large leveraged loan transactions. 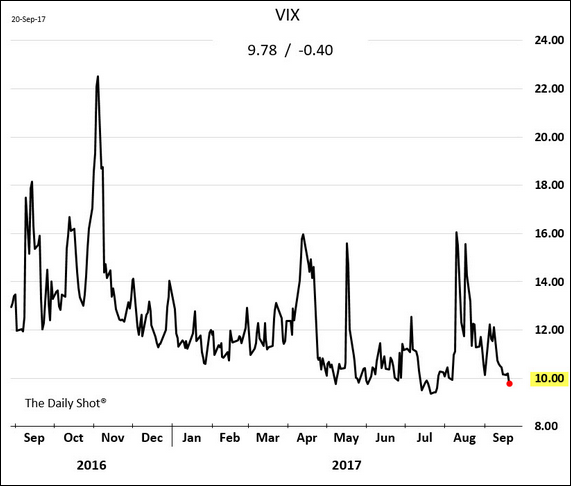 Equity Markets: The market shrugged off a more hawkish stance from the Fed, with VIX closing below 10 again. Amazing. 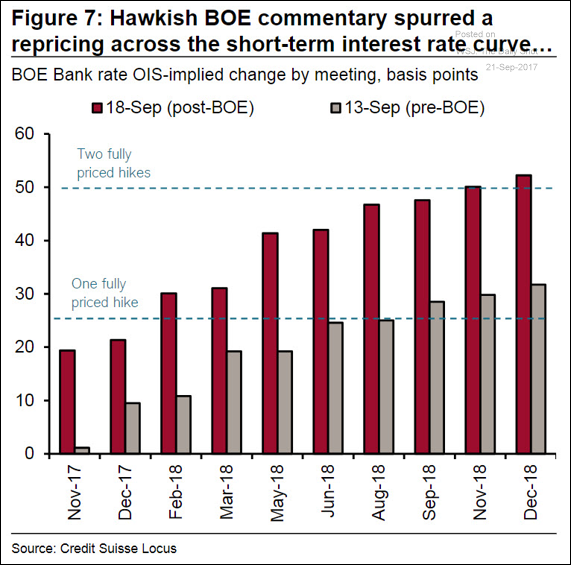 UK: The market is now pricing in two rate hikes over the next year. 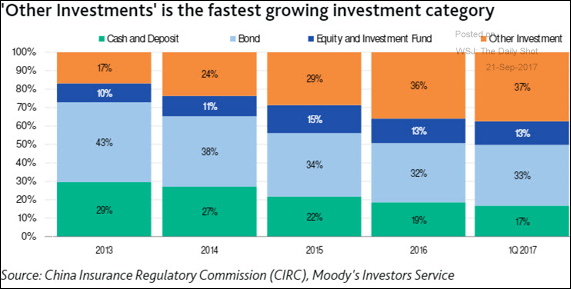 Asia/Pacific: China’s insurance firms are loading up on alternative investments. 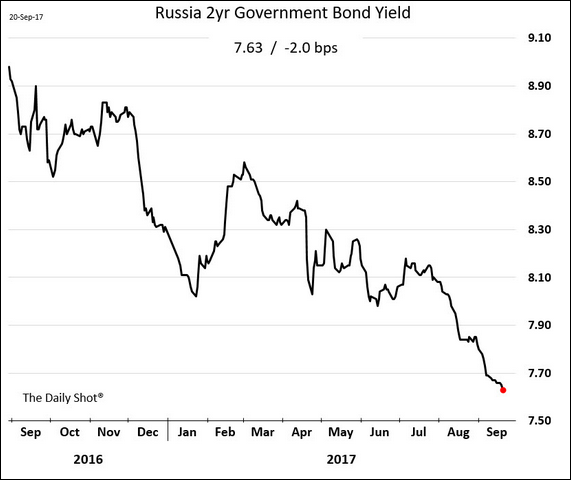 Emerging Markets: Short-term bond yields in Russia and Brazil continue to tumble amid expectations of further rate cuts in both countries. 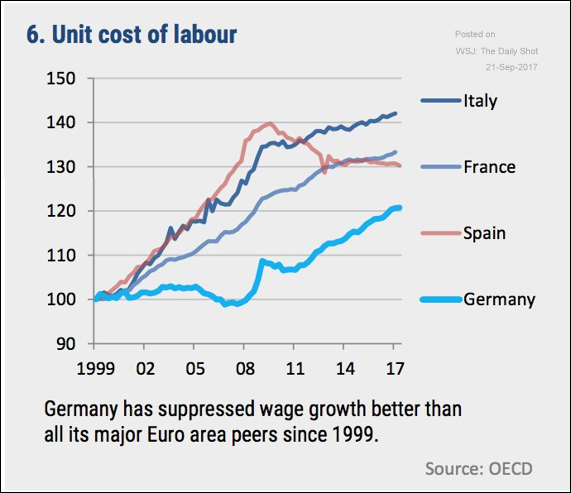 The Eurozone: This chart shows unit labor cost for the largest Eurozone economies since 1999. Germany remains competitive. 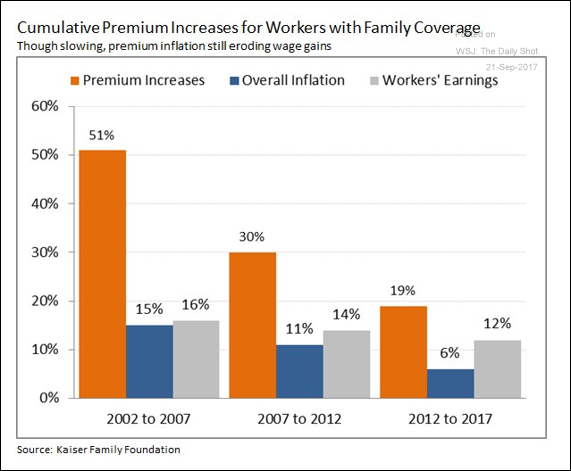 Food for Thought: This chart shows health insurance premium inflation which has been outpacing the CPI and wages.